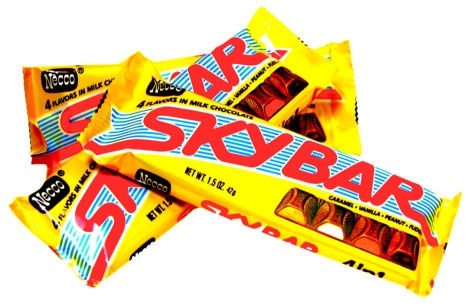 I haven't had a "Sky Bar" chocolate bar in years. Sky Bars still exist. Cracker Barrel has them.